It has been some time since I have posted “This Week Stats”. For previous posts, you can view them here. It is still a sellers’ market throughout Lake Oswego but days on the market have increased. The higher the price, the longer the market time. Prices are still increasing in Lake Oswego. Interest rates are are still low and there is still buyer demand. If you want to know the value of your home in today’s real estate market, please call me at 503-804-9685. ALL ABOUT…..Lake Oswego Real Estate. Copyright 2008-2019. Betty Jung. All Rights Reserved. Use of this article, photos and images without permission is a violation of Federal copyright laws. “Yes Virginia” there is a sellers’ market in the Portland metro area. And, we have had a sellers’ market going back several years now. Here is what happened in our Portland metro real estate market from our RMLS™ ending the first quarter of 2019! March brought some gains to the Portland metro area, but all measures were cooler than last year in March 2018. There were 3,504 new listings, a 43.4% increase over February 2019 (2,444) but new listings fell 3.9% short of the 3,648 new listings offered last year in March 2018. 2018 but rising 26.5% from last month in February 2019 when 1,726 closings were recorded. Our Lake Oswego Real Estate market had low appreciation this quarter and only increased slightly. The average price % change for Lake Oswego/West Linn was only 2.2%. There were other areas in our local Portland real estate market that saw similar appreciation rates and even lower, and one area in particular, had no appreciation during this First Quarter 2019. I will write a different blog post just about the appreciation rates for our Portland metro area, first quarter 2019, at another time soon. However, things are certainly not negative as we are STILL seeing multiple offers, prices are still increasing, and we still have low interest rates. The multiple offers are not as wide-spread as in year’s past, but please buyers, get pre approved. Know that you will be in competition with other offers and you really, really need to come up in price considerably if you want that property. After all this time, I have written about it constantly, and you see it in the media, get pre approved!! If you saw the property of your dreams today, you could not purchase it without being pre approved and having a pre approval letter in your hand BEFORE you make an offer. As agents, we are not presenting offers if you do not have a pre approval letter. Sellers don’t even want us to show their homes unless you are pre approved, and rightfully so. We are very serious when we request you go through the pre approval process. It took 94 days to sell a home during the First Quarter 2019 in West Linn/Lake Oswego. Much higher than for the over-all Portland metro real estate market, which was 68 days. The West Linn/Lake Oswego had more houses on the market for sale too and the inventory level was 3 months for the end of the first quarter. Portland as noted above has 2.2 months’ inventory. However, even at that level of inventory, the West Linn/Lake Oswego market is still also a sellers’ real estate market. When you look at the number of homes currently for sale in West Linn/Lake Oswego, there are only 326 active listings for sale, a relatively low number for both areas. Interest rates are still low. If you are considering refinancing, consider your family’s long-range goals. If you plan on staying in your home for a short time – under 3-5 years – it may not be the smartest choice to refinance. Granted there are times you might really need to refinance – if you have a high interest rate loan and you want to reduce your payments. Perhaps you want to buy investment properties or a vacation home where you want to retire. One of the fun things about living in Lake Oswego is all the art work and sculptures that are displayed within Lake Oswego’s Gallery Without Walls in our town. Every year, we who live here, get to vote on our favorite. Your vote counts! Which on loan sculpture from the works pictured would you like to see become a permanent part of the City of Lake Oswego? This year’s winner will become part of the city of lake Oswego’s permanent art collection. The artist and sculpture will be honored at the Gallery Without Walls Celebration on September 14, 2019 at Sundeleaf Plaza. #1 Pollinators by Greg Fields – made from glazed ceramic and steel. The sculpture is located at Windward at the corner of Evergreen and First Street. #2 Guermo en Inverno by Jamie Burnes – fashioned from Cor-ten steel and locust wood. The sculpture is located on A Avenue between Fifth and Sixth Street. #3 Observation Tower by Dale Reiger – made from Kiln-formed glass. The sculpture is located on the corner of B Avenue and Second Street. #4 Know Time by Benjamin Mefford – constructed of basalt. The sculpture is located on A Avenue and Fourth Street. #5 Frog on Fruit by Heather Söderberg-Greene – created from bronze. The sculpture is located on the corner of B Avenue and First Street. The latest stats were published yesterday from RMLS™ for February 2019. We had some crazy weather this past month, and I don’t know how much that affected our Portland metro real estate market, but it usually does. Instead of inventory increasing going into the busy Spring buying/selling real estate season, it is once again trending downward. Inventory dropped, prices increased and days on the market is hovering around 75 days to sell a home. The 75 days on the market is a clear sign that real estate continues its slow-down. Last year, the days on the market were 69 days as a comparison to this year. Houses in some areas are still selling quickly and once again there are still multiple offers being seen. This is not the trend throughout the entire Portland metro area, however. We are still in a sellers’ real estate market and nowhere near a balanced market, favoring both buyers and sellers. If you are still waiting for a drop in prices, you may be waiting for quite a while, and they may never drop to levels where you hope they will. Rates are historically low, and now is still a great time to purchase a home. If you are wanting to sell, you most likely have seen a lot of equity in your home by now and this is a great opportunity for you to purchase a new home. Activity in Portland was mixed this February, but some gains were seen compared with last month. Closed sales, at 1,726, rose 19.0% ahead of the 1,451 closings recorded last month in January 2019, but fell 4.4% short of the 1,806 closings recorded last year in February 2018. Pending sales (2,208) fared similarly, ending 5.5% under the 2,337 offers accepted in February 2018 but rising 8.0% over the 2,045 pending sales from January 2019. New listings, at 2,444, fell 3.4% short of February 2018 (2,530) and 19.8% short of January 2019 (3,048). This was the coolest February for new listings in the Portland metro area since 2014, when 2,354 were put on the market. The Oregon House has approved new eviction protections and a first-in-the-nation statewide rent control policy. The legislation will be signed by Oregon’s Gov. Kate Brown and takes effect within 5 days once the Governor signs. With Brown’s signature, Oregon is the first state to enact a statewide rent control program. In other states with rent control policies, cities enact and administer local programs. The bill caps annual rent increases to 7 percent plus inflation throughout the state. It exempts new construction for 15 years, and landlords would be free to raise rent without any cap if renters leave of their own accord. Subsidized rent would also be exempt. The bill keeps in place the state’s ban on cities implementing their own more restrictive rent control policies, which was passed by the Legislature in 1982 in response to several local rent control pushes. Senate Bill 608 also requires most landlords to cite a cause, such as failure to pay rent or other lease violation, when evicting renters after the first year of tenancy. COFFEE MEET UP CANCELLED DUE TO SNOW. To ensure everyone’s safety this meet up is CANCELLED. Both Castle and Creek Interior Design and I are available for individual meet ups. Text #5038049685 to set up an individual time at your convenience. Coffee Meet Ups are always held the last Wednesday of every month. Next meet up scheduled for Wednesday, March 27, 2019 at 6:30 p.m. Hope there is no snow then! Tomorrow Wednesday 2/27/2019 6:30 p.m at Ava’s Roasteria–Kruse Village. 4847 Meadows Road, Lake Oswego. Join us for a Q & A on interior design, space planning & more plus any real estate questions you have. Sponsored by: Betty Jung, MORE Realty and Castle & Creek Interiors. Get a free cup of coffee or latte. See you there! offered. There are reports indicating we have not had this many houses for sale in 7 years. Inventory is definitely creeping up, and Spring is just around the corner when Sellers really start putting their homes on the market for sale. Pending sales, at 2,045, decreased 11.5% from January 2018 (2,311) but surged 27.9% ahead of the 1,599 offers that were accepted last month in December 2018.. Fewer and fewer multiple offers are being seen. However, will Spring have a resurgence of those kind of offers. Closed sales, at 1,451, ended 10.9% cooler than last year in January 2018 (1,628) and 21.4% cooler than last month in December 2018 (1,846). Inventory rose to 3.3 months in January, with total market time rising to 76 days. Days on the market has increased. The days of hitting the market and selling instantly are over. 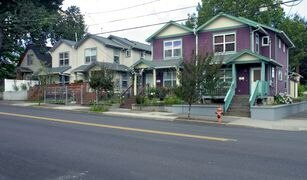 Hopefully, sellers are now in step with what is happening in our local real estate market in the Portland metro area. shows an increase of 5.2%. In the same comparison, the median has increased 5.3% from $380,000 to $400,000. I don’t normally post this statistic regarding lockbox activity – ie lockboxes that were opened for showings. But, it indicates how weather affects selling real estate in the Pacific NW, particularly in the Portland metro area. We had a false snowmageddon and I guess everyone decided to stay home and eat their kale (inside joke for Portlanders!). They decided to stay home and not look at houses. We get this stat weekly. This one covers February 4-10 and in fact, the following week was when we were expecting the worst of the snow. Will post that stat next time to see if it was an even slower time. Here is another post for sold stats in one of Lake Oswego’s elementary schools. These are the real estate stats for single-family, detached homes in the Westridge Elementary school district for 2017 vs. 2018. Average Sq. Ft. Sold = 3304 sq. ft.
Average Sq. Ft. Sold = 3403 sq. ft.
Average Sold Sq. Ft. $ = $290. Definitely a popular elementary school. More homes sold in 2018, at a higher prices, but days on the market increased from 2017. In addition, it appears that buyers got offers accepted lower than their original list price, compared to 2017, as houses sold at 91.52% of their original list price in 2018. Are you currently looking for a home in the Westridge Elementary School District? There are currently 35 houses for sale in the Westridge Elementary School District. You can view them here. More houses in this school district were sold in 2018 vs. 2017. Houses took quite a bit less time on the market to sell in 2018, sales price dropped in 2018, but pretty much all the other stats are similar for both years.